An individual can use a Power of Attorney to avoid the need for a conservator to be appointed by the court in the event that an individual becomes incapacitated. The process of obtaining a court order appointing a conservator for an incapacitated individual can be costly and time consuming. At the law office of Carluzzo Rochkind & Smith, P.C., our estate planning lawyers have extensive experience creating Power of Attorney documents for individuals in Manassas, Prince William, Manassas Park, Gainesville, Haymarket, Woodbridge, Lake Ridge, Dumfries, Bristow, Warrenton, Centreville, Fairfax, Stafford, Chantilly, Leesburg, Ashburn, Sterling, Herndon, Reston, Alexandria, Annandale, Arlington, and throughout Northern Virginia. A Power of Attorney allows an individual to select and appoint an agent to transact business on one’s behalf, even after incapacity of the principal of the Power of Attorney. The powers granted to an agent may be broad and general or specific and limited to meet the needs of the individual. The powers granted by a Power of Attorney to the agent cease upon the death of the principal. 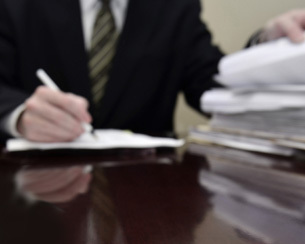 If you are interested in creating a Power of Attorney, please contact our experienced Power of Attorney Lawyers online or by calling us at 703-361-0776.